Special Areas protect water quality by providing buffer zones of pristine bushland around dams and immediate catchment areas. Human activities near the drinking water catchments can harm water quality. Activities like horse riding, trail biking, camping and four wheel driving can lead to erosion, bushfires or pollution. To help protect the water supply, public access to the areas surrounding most major dams is prohibited or restricted. This protected bushland acts as buffer zones which are part of the multi-barrier approach to protecting water quality. Some parts of the Special Areas have been protected for more than 100 years, allowing a large number of native species to thrive. The Special Areas cover about 3,700 square kilometres of bushland - 1.5 times the size of the Australian Capital Territory! They are also home to 440 different native animal species, including koalas, wallabies, platypus and vulnerable woodland bird species. There is a greater diversity per hectare than Kakadu National Park. 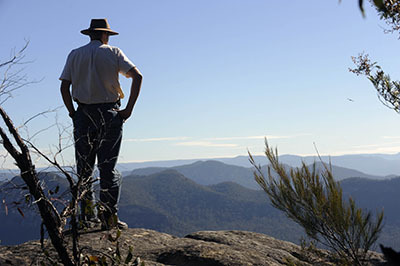 The Special Areas are jointly managed by WaterNSW and the National Parks and Wildlife Service. We work together to control pests and weeds, and conduct regular surveillance of Special and Controlled Areas. Fines of up to $44,000 apply for people caught in prohibited areas. Special Areas and regulations are clearly signposted. 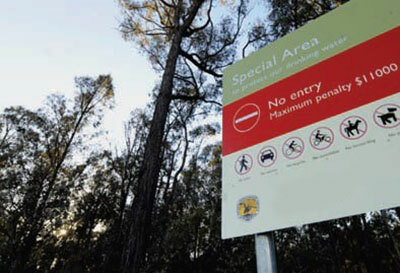 Entry is not allowed to the bushland areas surrounding the dams. The exceptions are Fitzroy Falls Reservoir and parts of Lake Yarrunga on the Southern Highlands, which have restricted access. 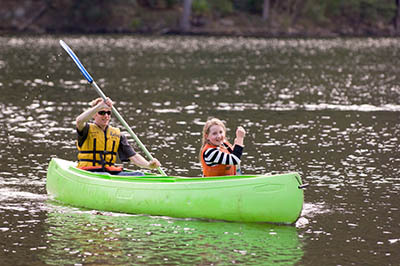 Entry is not allowed to the land along the Warragamba Pipelines and Upper Canal, and the land at Warragamba protecting the water supply infrastructure. Permitted activities in Special Areas - restricted access include walking, camping, fishing, swimming and non-powered boating. Vehicles (including motorcycles and bicycles), horses, pets, powered watercraft and firearms are not allowed. Visitors are welcome at most of the major dams. Many parts of our drinking water catchments are national parks. canoeing and swimming is allowed. The Special Areas overlap with large areas of national parks. The Special Areas restrictions apply to national parks within Special Areas. More details are provided in the brochure Special Areas - what you can and can't do in Sydney's water supply catchments available for download below.